ONTRAPORT Pro level and above provides your customer the ability to use multiple credit cards. They can add new credit cards by filling out an order form or by visiting the Customer Center in a PilotPress enabled WordPress site. You can manually add credit cards for them in the Contact Record as well. This allows your customers to have one credit card for recurring payments, and another for single transactions. The default credit card is the first card added to the system for the Contact. You can also select any active credit card listed in the Contact Record on the Purchases tab, in Credit Cards on File, and make it the default credit card. When you manually charge a card in the Contact Record you can choose any active credit card. The default credit card will be identified for your convenience. Note: Changing the default credit card does not have any impact on existing payment plans or subscriptions. They continue to use the original credit card. Locate the order in the Subscriptions and Payment Plans section and select it by hovering over it and checking the check box that appears. Click Edit Order in the Actions drop down box. 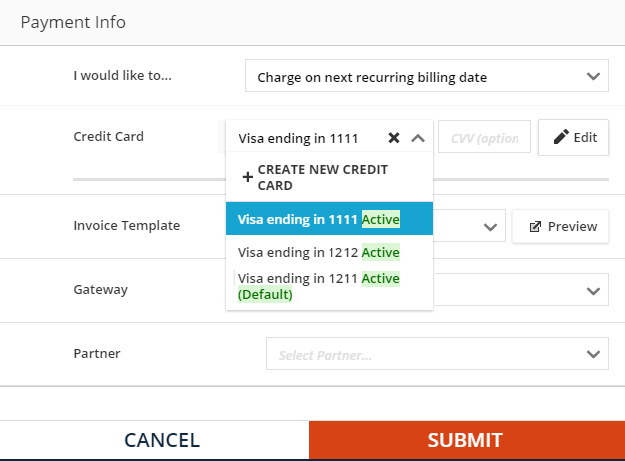 Credit cards can be edited by the Contact in the Customer Center of an integrated WordPress website, or by you in the Contact Record on behalf of your customer. When editing a credit card only the billing address and expiration date can be changed; other changes require a new card to be entered. The most common reason for editing the card will be to enter a new expiration date for an existing credit card. In accordance with privacy laws, ONTRAPORT does not store the three or four digit CVV or CVC number. It is used only on the original order form and does not need to be updated when a Contact receives a new credit card with the same credit card number. 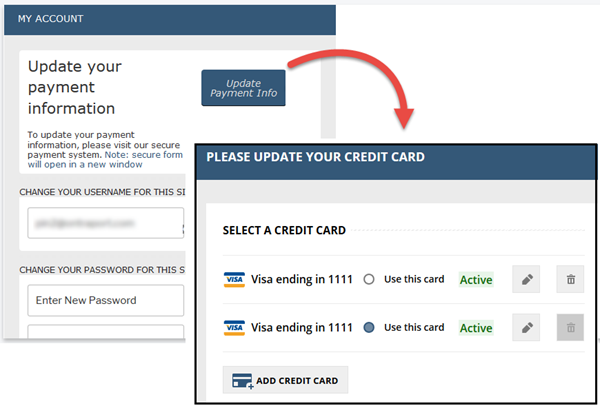 They can update the billing address and expiration date even if the CVV or CVC number is different on their new card. Any card can be deleted by the contact in the WordPress Customer Center except for the default card. To delete the default card the Contact must designate another card as the default first. The Credit Cards on File section, found on the Purchases tab of the Contact Record, lists the credit cards the Contact has used on order forms, and those that have been entered manually in the Customer Center or Contact Record. ONTRAPORT doesn't store the actual credit card number in the Contact Record and only reveals the card type, last four digits and expiration date in the publicly accessible database. Cards displayed in the Credit Cards on File section are merged for display purposes based on this data. 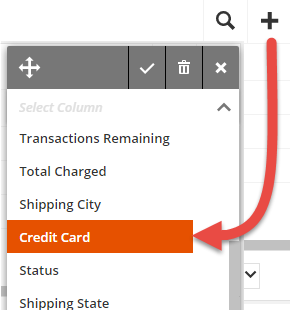 Click the Add Column Header + sign to add the Credit Card column to the display in the Transactions and Subscriptions and Payment Plans sections. 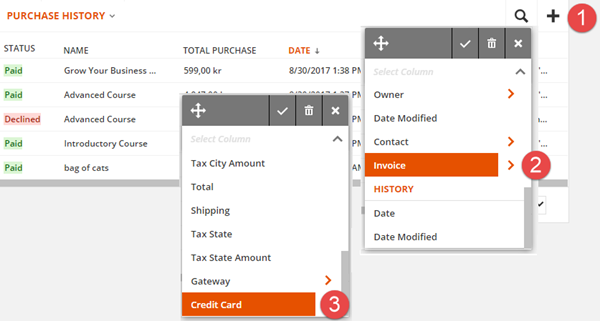 In the Purchase History section, drill down through the Invoice to display the credit card column.